You started teaching because you love Pilates and opening a studio seemed like a natural progression to take your passion to the next level. However, despite the best efforts and hours of marketing, administrative responsibilities and of course teaching you feel worn out, stressed out and frustrated. You simply wanted to make a living by sharing the best form of exercise with the people who really need it … Why did running a business have to be so complicated? Most teachers would agree that running a studio is completely different from teaching. After completing your teacher training you received NOTHING to help you run a business. Unless you had a previous experience of running a business or have a family member who can guide you, you are lost… and frustrated…. and stressed out. I know, I’ve been there. It’s nice to have a mentor who can tell you exactly what to do and even what to say to your clients to make them see the incredible value that Pilates will bring into their lives. FREE introductory classes: Friend or Foe? Get FREE Training from Lisa – sign up here to receive 3 exclusive videos with the exact steps on how to grow your studio to 7 figures. Would you rather read than listen? Then dive straight into the transcript! Anastasiya Goers: Lisa, how did your Pilates and business journey begin? Lisa Kuecker: I got introduced to Pilates and Yoga at the same time. I was lucky, when I was growing up my mom had loved Pilates and barre. So kind of the barre based craze that’s going on right now, I started doing that when I was like 13. And when I was 20 I moved to Boston, and I had this awesome exposure for the first time to Pilates. I saw a reformer for the first time in my life. This is about 15 years ago, so you can imagine it wasn’t quite as prominent at that time. And when I went back to New Orleans I was just so lucky, I found an amazing mentor who had been teaching Pilates for almost 20 years, and I fell in love with that. I think as most most people I did my first certification thinking it was going to be a fun hobby. I was going to teach a few classes, and I had other businesses that I was already running. Gradually more and more of my week became teaching, just because it was incredible. I mean you know being on a Reformer for the first time for me it was like dancing on air, I just never experienced anything like it. I had this opportunity to move up to Washington State with my husband and I met a person who worked with Intel Corporations. I got an offer to develop a Pilates program for them, and it was a great opportunity. This is my dream come true and I think everybody has that moment in their career where they imagine it’s all happening, I’m going to be a success story, I’m going to have this big corporate client, all these fantastic students. And I really quickly learned that everything I thought I knew about building a Pilates studio was wrong. I was working around the clock; I had this nontraditional studio which was awesome in many ways. I had lots of people working for me teaching all kinds of things. And I think I was actually making no money whatsoever, but if it was possible to lose money I might have been doing that. And I got about a year into it, and I felt that it had to change. I’m thinking I have got a few things, namely the studio right now. I just got obsessed, I came from this incredible entrepreneurial family, and I had owned businesses before and I thought what was I missing in this business? And it hit me – it was the recurring income, client retention and selling things that were going to really appeal to my clients was totally absent from everything that I was doing on a daily basis. So when I made this decision to open our facilities across the country, we knew we were going to have a strong mind body studio presence in all of them. I said I’m going to do something very different. And we took all of this knowledge and now over the last seven years we built these four studios, they have been incredible blessings, they are in three different states so we are geographically insane. So three years ago we started getting calls where people said “Could you just talk to a friend of a friend of mine, she’s got a studio, it’s not doing great. Or she’s got a studio doing really well, but she wants it to do better.” And that’s how the consulting chapter of my life began. It was all word of mouth. And finally last summer became somebody contacted me who came through so many degrees of separation, I thought who are you and why are you calling me? And they said, we’ve heard about what you’ve done, we want you to work with us. Unfortunately at that point I was really busy and they said, what is it going to take? It’s when it really hit me that this was a real business. I don’t teach every day in a studio, I teach when I’m lucky enough to, because I’m always going to be an instructor at heart. But what I have spent the last seven years doing is creating these businesses. And doing all of those, so it’s natural progression for me instead of teaching Pilates or yoga, now I can teach other instructors. And it’s been mind blowing, so since we really launched internationally in June, we’ve had almost a thousand instructors that we’ve got to train between our free trainings and our mind body profit academy, and it’s been rolling, pretty exciting stuff. Anastasiya Goers: Are your studios mostly stand alone studios, or they are part of other facilities? Lisa Kuecker: We have four fitness facilities that have a mind body component to them. So we’ve got people who are doing extensive yoga programs, a lot of other one-on-one programming within the mind body sector. And that’s really the majority of our work right now. We have extended extensively to do a lot more group programming, I think group programming is the way of the future. And it’s certainly for most studios a really necessary component. So the last 7 years have been kind of what I like to call it this really fun experiment where we are like “Okay, does this work? – No. Does this work? – Yes.” But we’ve been figuring out what really works, and that’s pretty powerful. Anastasiya Goers: So what is coming up with your consulting business? And this is something that we’ve got great systems for, so at the end of this month we are launching another round of free webinars that are going to be all about taking your studio to wait list capacity in a short period of time. I think there is this myth in our heads that a Pilates studio and yoga studio needs to take a year to certainly make it. I haven’t seen that, I think that it can make it very quickly, and I think if you give yourself 90 days, you use the right processes, you qualify your students, you can build a recurring income source that’s incredible within the first 90 days. Anastasiya Goers: After working with over 1000 instructors, did you notice any recurring mistakes that almost all of them were making? Lisa Kuecker: We have some clients who have super successful studios. And they are coming to us because maybe they want to expand to a second location, maybe they want to just even make the profit margins even better. And what’s been really funny is whether it’s a studio that’s failing, or studio that is successful. The two biggest things that we’ve seen consistently is that people are still selling by the session, and they don’t necessarily have a sales process. So just to elaborate on that, one of the biggest things I learned early on is that a studio had to have recurring income to truly be successful for the long term. This comes down to having a really strong sales process, we take a different approach. We look at their goal; we spend a lot of time learning about who they are. And then we really make an educated decision and teach them this is what you are going to need to do to reach that goal. So instead of selling them 10 sessions, we are going to say you need to come in for the next three months, and I would like to see you two to three times a week. These are the packages that you are going to need to be on, and there we go. So in our studios I mean the studios we work with, I would say the vast majority of people, for my studios it’s 95%, for other people studios we are seeing this fill up, it’s 12 months that most people are signing up for. And they are saying we are making commitment for one year, because let’s face it, I mean from a client’s perspective there’s not a lot that’s going to happen in three sessions. It’s a nice introductory special, it’s wonderful, I understand the meaning behind it, it can be a great sales tool, but that’s not really going to solve their problems. We need people to be in this for the long haul, and I think that’s an important part. Anastasiya Goers: Let’s pretend that I am a new client who just walked into your studio. How would you build our conversation that will lead me to buying a package from you? Likewise if they’ve had a great experience you are going to be like “yes, this is good, I’m very happy with this!” You would be able to engage them. Likewise they might have said, you know what, my doctor recommended this, again I went to a Pilates instructors before, I didn’t love it and it just wasn’t — I think generally speaking those are going to become objections later on. There are going to be people who in the back of their mind are saying wait, is this really for me? And you need to be able to answer that. An objection isn’t a negative thing; we really just have to treat it as a question. Somebody has got this concern and we need to answer it for them. So those are the first two questions I literally start with every single person, because that’s going to tell me an enormous amount. We spend literally two or three hours almost every month going through this specific line of questions, and saying what do we want to tweak, how is this working. At least twice a year we really update significant portions of it just because we want this to keep working incredibly well. But I think if you can guide people through a process that educates them rather than sells for them, so if you tell me your goal and you say, oh my goal is to lose 20 pounds. I’m going to be saying what’s your expectation, when do you think this is going to happen by? not-a-Question 4. Educate about what it really is going to take to reach this goal. And then I’m just going to be honest with you, I’m not going to try to sell you anything, but I’m going to say I need to be realistic. I have heard what’s worked for you in the past, I have heard where you are now, if we are really going to get that goal this is what you have to do. And I just keep going and keep talking to them, I mean it’s the first time I’m bringing up their package, but I’m going to return to that at the end when I actually tell them, but I treat this more like a clinician. At the end I say, this is what you are going to need, we can do one of two ways, which one do you like more, and we move forward. So I think a lot of people are hooked on this idea that you need this hard sales process, you don’t. You need an education process, but to do that you need really specific questions that are asked in order that you are trying to gain specific knowledge from. And you need to know when to dig deeper, if you don’t really have the exact answer that you need, we have to know when to take our clients to a different level on that, so…. Anastasiya Goers: Do you start all of your clients with a package of private sessions? Lisa Kuecker: I think that’s true for most people, we typically start everybody out with three private sessions. That’s almost across the board, and that’s whether or not they are going to go into group training. That’s whether or not they are going to continue into private training. We treat those three sessions as a way for them to really get introduced to who we are and to what our training style is. And for us to really be able to comfortably say this is what you need, that’s really what our job is. I mean we’ve been professionally trained to tell people what they are going to need in life for their body to reach these goals. And we should be — I think we should be proudly saying that just like a doctor or a nurse practitioner, you are almost prescribing Pilates without medical license. Anastasiya Goers: And it’s cheaper for the client as well, right? Lisa Kuecker: A lot cheaper in the long run. Anastasiya Goers: Talking to a potential client who already contacted you is a done deal now. But how can we actually get the word out about our Pilates studio? What forms of marketing work and do not work? Lisa Kuecker: The first thing I will tell most people is that even though we have brick and mortar businesses, most people aren’t walking down the street and walking into our studios. They are walking down the Internet and walking into our online front door which is our website. And the first thing that I would want to explain to most people is that the website is crucial. It needs to be something that’s very clean. Your website also needs a place where someone can really enter their information, where they can clearly contact you. I don’t think we need to tell them the entire history of Pilates, but I think you really need to tell them what the benefits of Pilates are. Because most people aren’t necessarily concerned these days about what happened in 1945, what they want to know is, “Is Pilates going to fix the problem that I have now?” So I think changing the copy on your website and the flow of the website is something we do with even our most successful clients. Do you need help with your website? Schedule a FREE consultation to see how Pilates Bridge website services can transform your online presence – click here. And then secondary to that your Facebook page and Facebook ads have to be a key part of your business. And I hear over and over again, Facebook ads did not work for me. And what I always want to say to people is that Facebook ads probably didn’t work, but you didn’t actually ask your client to do something. you need to come in and you need to schedule a session because X is going to happen. we’ve got a challenge that’s starting. You’ve got to really understand the types of Facebook ads that work. And then beyond that I find that people have no idea of how to target their audience. Most people just hit “Boost post,” it’s not the best way to go. There’s so many new answers within Facebook that are so powerful that you can turn this into the most incredible tool, where you can literally go out to your community and say, I want to see people in this neighborhood. And I want to target women between 35 and 55 who have kids, and I want them to have this type of spending habit. And we do this all the time, I mean Facebook accounts for 80% of our ad spend, because it’s so stinking targeted that I can’t even imagine doing much else. The things that I see that don’t work and this is over and over again, the first is radio and television. Because for you to spend the money that is going to require to get the number of impressions in front of your customer, I mean if you’ve got a $20,000 per month ad budget great, but if you are trying to stick to $600, it’s just not going to make enough of an impact. Tell them why they need to come in today, like be sure to tell them this is why you need to be coming, this is what you miss, so I want to make you come through the doors today, this is why it’s going to value you. I think that’s super important. Lisa Kuecker: Yeah, so a couple of things. I use two types of Facebook ads I use, and the way that we teach the most of our clients is to use cost per click only when they’re doing specific types of campaigns. I like cost per click, but Facebook is then optimizing your ad to only reach out to people who want to click on it. Right, I don’t want them to just click on it; I want them to do something with it. I tend to teach most of our clients to use cost per registration, cost per conversion. And that involves a tiny bit more work on the front end, but once you’ve done it the first time it’s very simple, and then you’re only paying for people who actually interact with you. So someone who actually registers for your events, someone who actually signs up to be on your email list, someone who actually registers for a challenge. I think that’s a more valuable way of doing things. Now when it comes down to what I spend, I believe that you need to target intensely. I have lots of little ad sets that I have, so let’s say I have one campaign coming, and I am running a challenge and I’m ready for 10 days of marketing. I might have 10 ad sets that I am going to spend only two dollars a day on. $2 is my rule of thumb; I pretty much always start there, because want to see how these ad sets are going to work. Do people like the ads? One thing about Facebook ads that we don’t talk about is that they have to be monitored and there is a science to monitoring Facebook ads. You have to monitor these ads and you have to kill off the ones that aren’t working and you have to gradually increase the ones that do. Start small don’t leap in and say I need to spend $50 per day on these ad sets. 99% of the time we’re overspending if that’s the case. Instead take a number of ad sets, see which ones were best, don’t be shy about trying out different images and different copy. That makes a big difference, we take the same ad all the time for people, and we put a second image and suddenly it’s half the cost for someone to register. It takes some experimentation, but give yourself that time the first few times. It’s my biggest advice is to– and don’t be shy to ask for help on this. I am not going to lie that when I started doing Facebook ads we wasted a lot of money; it’s very easy to waste a lot of money doing Facebook ads. I finally met with somebody in California who was just a Facebook expert and said you know what I want you to transform my mind on how I am doing this. I was doing my math on this, but I am guessing we spent tens of thousands of dollars the last few years on Facebook ads, and they are working incredibly well, our business would not have been nearly as successful without them. Anastasiya Goers: Do you have any training coming up? Lisa Kuecker: I do, we’re going to be releasing something, I don’t actually even know when, but we had so many requests from clients on building a Facebook ads program and making it absolutely user-friendly. We started breaking down Facebook advertising literally into every detail: this is how you create a custom audience; this is how you do this. We explain the whole funnel, because Facebook ads are a funnel. You drop a lot of people into it, everyone at Facebook shows up to you, and then at the bottom of the funnel, hopefully your ideal client pops out. Then into every part of the funnel, every layer of it needs to be cracked so that people can keep flowing on down. We build and teach people what are the major processes on this, what are the right kind of images, how do you write click copy, what’s the anatomy of an ad, what are the must-haves. Then we also do the highly technical, which is the part that I struggled with the most for long which is how do you set an ad in power editor? Step by step you click this button, let’s go to the next one, you click this button. You know how do you build the custom audience? What is my favorite way to set a location? So we built this entire technical library. We learned a lot of these things because we’ve had a great training, but for an average small business that’s not the case. Facebook advertising is a lot easier than you think. At some point this fall we will release it. We’ve filmed everything now, we’re about all done, and started getting great results, and I think that’s what we’re waiting to see. We want to share the results everywhere so that people understand even if it hasn’t worked in the past it can really work. Anastasiya Goers: We’ll be looking forward to your training! Lisa Kuecker: We always tell people “Send us an email!” I know that sounds silly, but I really love getting an email and just talking with people.You know we’re always looking [for testers]; we got our first round of people testing this program. You know we might hear your story and be like “Yes that’s the program for us!” You can be one of our beta testers. I am lucky I’ve got a team that works with me; this is my baby that I am having a lot of fun building right now. Let us engage and let us help you. Anastasiya Goers: How can instructors and studio owners raise awareness about Pilates in the areas where it is not very prominent? Lisa Kuecker: A lot of my studios they are in smaller markets. The first thing you need to do is you need to find a group of the clients even if they’re people who you start working with free of charge as you’re starting out, and you can really build a before and after story on. You are looking for the clients who will mimic your ideal market and will be able to share their success with the others. You want to tell people those benefits. They don’t necessarily need to know the history of Pilates. I personally find it fascinating, and I think most instructors are going to say “Oh my gosh I love the history, it is incredible.” But for those people they are looking at Pilates if they don’t know about it and they’re saying do I do Pilates, or do I do personal training, or do I join the gym? And in that case we need to say hey this is why Pilates stands above these two. This is the benefits that you’re going to be receiving in Pilates that are far beyond ever working out at a gym. If you can highlight it through clients, through visible pictures, through somebody who’s in their community, through the changes that they see in their body you will always see a great response. If past that you can then really just share the benefits. You know this is what you’re going to get from it. That’s really where it starts. Anastasiya Goers: Should you use free sessions as an introductory offer at the studio? Lisa Kuecker: I don’t think you should give a free class unless you’ve got a sales process that involves with them. If you do, then why does somebody need to buy at the end of that free class? You need to combine that free class with a time that you can really get to know your client, that you can really understand them. Let me give this example, we’ve got a great client who has a Jivamukti Yoga studio in Lexington Kentucky. She is just a precious vibrant southern girl who has this deep seeded passion about yoga. When she came to us she was like three months into her studio, and it’s the same thing a lot of people had no idea what Jivamukti was. They didn’t know why this would be different, what’s different than the yoga that I am doing in my gym and everything else. We basically created a coffee tank for her. She literally takes new students and says “great you’re going to come in for a free class, first you’re going to come and have a cup of tea with me or have a cup of coffee with me.” We’ll take half an hour, we’re going to hear about your goals, and I am going to tell you what I really see being the best path for you going forward. She does this wonderful questioning time that she really gets to know their needs, then she provides this killer class that is packed with clients now, because we’ve now doubled her client base like couple of months in a row, it’s just so exciting to see. Now she is showing them what a class should look like, and what it can be, and then beyond she introduces them to Jivamukti yoga. I always tell people make me a list. Make me a list of 100 people you do know that will benefit from this, and most people are like “that’s so easy.” And they call me and they’re like “I am at 30 and it’s really hard,” I am like “that’s fine.” For a brand new studio these are the people to start with because they know you, they know who you are. They’re going to know your personality, they are going to be much easier to approach, and they can be your first success stories. That’s also why I will tell you that before you open your first studio, it’s always good to have some time to teach and get to know how to be an instructor. It’s not always the case; I mean some people do great just right off without opening a studio. 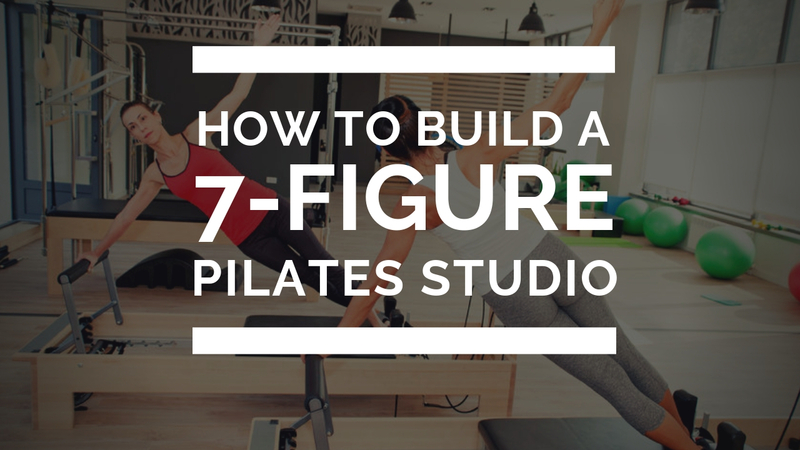 You have to know your own mind set, but if you’re in a community that knows nothing about Pilates, I would say that before you open your studio, give yourself six months to really work with these people, out of your home, out of some other location. Build a reputation first, and let Pilates have that organic growth through the community. Anastasiya Goers: How should you price your Pilates services? Lisa Kuecker: I am like a pricing psychology junky. My parents were great because they exposed us to a lot of this within their companies, but beyond that I am always wanting to learn why people buy, why would they pay so much more for something when we don’t expect them to. People are irrational with their purchasing decisions. I give the example probably almost every webinar I do that we lived in a small town in North Carolina. You would think “small town North Carolina” but it still had four Pilates studios which was amazing with only 30,000 people, but still managed to do that. We had a rolfer there, and it was a rolfer that I went to. We had all these massage therapists and people who had gone through some level of training that were struggling to charge $50. Greg charges 150 for an hour long session, and has a wait list just out of the door. There is a difference there, first of all Greg has presented himself as having value. It doesn’t matter what your competitors charge, I want to make that very clear. Most people are really quick to say “my competitor charges this;” I’m worried they won’t come to my studio. To be honest we rarely give people our prices over the phone. We rarely give them in email; we don’t keep them posted on our website. We don’t do any of that, because I don’t know frankly what you need until I talk to you. Why would I tell you “I think this is what it’s going to cost,” I think that’s very confusing to people. I do actually set prices myself and this is something I love doing in studios. I always set an anchor price, and the biggest mistake I see is that people set their anchor price too low. And then they’ll say for $30 less total you can or $5 less per session you can buy 15 sessions, 20 sessions. That’s not a big enough price difference; people are looking for price in contrast, they were not born knowing how much a Pilates lesson should cost. I really need to make sure that if somebody is going to sign up to visit with me for a year and they are going to be coming three times a week, they need to be saving a lot. I think that anchor price, your price for that single session should be cost prohibitive. People should not want to buy that. It sounds counter-intuitive, but I don’t want them to. One session is not going to do them any good; it really doesn’t do me any good. I instead want you to come in and see me for three months or six months. If you set your pricing up right, it will just drive people to this. I think the other thing we’re scared as instructors is to charge what we’re worth, this is amazing. That woman [the client] is being billed every month for the next 6 months roughly around $1200 a month. She said it was effortless. We got an email from her this morning, she sold four total packages that are going to generate you know roughly $2000 a month in revenue for her, for the next six to twelve months. That’s incredible and that’s game changing for studios. I think understanding that even if you just made a pricing change, it’s okay to continue to adapt to your pricing. If you can show people the value, if you can set it up where they’re going to save by doing this, or they’re going to have a value in comparison to that anchor. People really will buy readily, it’s pretty powerful stuff, I am also excited about the package, afterwards I danced. Anastasiya Goers: I guess you also have to be prepared, you have to know your target audience and who is willing to pay that much for a package. Lisa Kuecker: Keep in mind her packages start at a really reasonable amount per month. Like you can come in to her for $75 a month if you are only going to do a certain amount of mat classes. So one key thing when you do pricing is to understand that a lot of different kinds of people make up a studio. We’ve got really wealthy clients that want to spend $100 a month. And we’ve got clients who are school teachers that are going to spend $500. It doesn’t necessarily add up when you say okay, well, how much do you earn? Lisa Kuecker: Especially with the moms! I’m a mom, you are a mom, there is this real guilt that can come when we are saying “Should I be spending this on my child, should I be investing this for our future?” I think that’s something that we also have to overcome, and so when we teach people how to educate people we address that. Especially if I know I have got a mom sitting in front of me, it’s one of the first things I address because hey, they are at their strongest and best at being a mom, at least I’m at my strongest and best of being a mom when I’m healthy, when I’m strong physically. Anastasiya Goers: When I feel good! Lisa Kuecker: That’s a reality and a lot of women kind of have this light bulb moment when they are like “yeah, okay, let’s get the show on road.” Like let’s get you into next stage, and we want you to be there, and it has to be genuine. I think that’s the other thing. I talk to people a lot about this, but we call our process it’s all for sales, because it really is all about having our client’s best interest at heart. If we don’t have their interest at heart, if we are not being totally upfront with what they need and even if it’s not us. I mean some of our best clients over the last seven years are people that we initially said “we are not the best fit for you right now, when we are we would love to see you back, but this is who you need to call right now. This person is going to help you with this right now and they are going to be a better fit for you.” And because we sent them to someone who really was the right choice, those people inevitably come back and they are most powerful advocates. It’s powerful. Anastasiya Goers: What types of classes should you offer to build a successful studio? Lisa Kuecker: So here is how I look at studios, because I personally think home based studios are brilliant. I mean I think for a lot of people a home based studio is an ideal fit, because my first decision on any studio is strictly by the numbers. How many clients do I need to see in order to pay the operating expenses? And a home studio takes a lot of that off of me. If I can see 20 people out of my house versus 40 people out of a location, gosh I think I’m better off seeing 20 people at my house. But there’s inevitably this time when we say okay, well, we are ready to make this leap. First of all I think the numbers have to be right, I think that you can have a really successful home based studio, we have our own client that we are working with now who has three reformers, a tower and a Cadillac in her home. And these group reformers do great small group classes. It’s a powerful thing, I think that can be phenomenal, I think it also is appealing to certain clientele, let’s say I don’t want to be in a studio, I like the privacy. When you go to make that leap into a studio, I think that one you need to make sure that it needs to be large enough, and you need to decide, if you can ideally fit 10 people from that class and have a minimum of four reformers although I would love to see six, I think you are in golden ground for doing group work. And to be honest with you, a Reformer is easy to add. I tell a lot of people because I think the one mistake I see a lot of businesses make is that when they start out, a lot of your startup costs, more than you’ll ever going to think, need to be devoted to marketing, they need to be devoted to just keeping the business going in a float to payroll, to expenses that you are not going to expect. You don’t need a studio that’s completely equipped, every piece of equipment on demand. You need a studio that has the right amount to start, and then you can add. So I would say if you’ve got four reformers and you are doing a ton of group classes — group classes by the way are amazing profit-margin-wise, they are your most profitable. I call them my profit gold mines; I mean you should be running them. And that should be a big focus, because the costs are a lot more affordable to a lot of people. So beyond that when we start getting going on this, if I can start with these four reformers, when I have 80% of my classes full, or nearly full, I’m 80% capacity, that’s when I’m going to add the next reformer. That’s when I’m going to add and say okay, now I’m ready to go in and spend that money. Don’t feel like you need to spend it all upfront. Anastasiya Goers: Yeah, so is it better just to start with small props and mat classes? Lisa Kuecker: We have two clients in Australia right now that are blowing my mind. All they do is mat work and basic props with it — and they have some of the best students that I have ever seen. I mean they are doing so well, I’m just so impressed with them, and I think that’s proved that’s not as hard. I was in a Pilates session this morning and the first half of the session was we did all mat work and I got a serious sweat out of it. People think “this is easy,” it’s not. I mean it’s powerful work, and it’s how you sell it to people, and how you share it with people that really makes the difference to whether or not they view it as something more, something bigger. Lisa Kuecker: It’s like a torture device. Anastasiya Goers: Yeah, they just felt too awkward or not quite coordinated enough to control the springs. For the first five to ten sessions they didn’t even want to touch it. Lisa Kuecker: And one thing when you think about group training that I wish more studios thought about is that their Pilates classes are not the same that they get at a gym. This is a perfect example, I walked into one of these classes not long ago. And there were 35 people in the class. I almost fell, I’m like well, there is no one-on-one attention here. I’m glad I know what I’m doing. But what I find is that we really need to market our mat work and our group reformer classes for what they are. They are not just classes; I mean otherwise people are going to equate them to what is in the gym. They are personalized training, they are not personal training, but they are personalized training. And there’s a real difference in that, I encourage people that they don’t even call them classes. If you have 10 people in there, I’m sorry it’s not a class, it’s personalized training. You are going to have to be able to touch each person. Anastasiya Goers: Question from a reader. How do you hire qualified instructors for the studio? Lisa Kuecker: Yeah, it’s funny. I was on the phone with a friend earlier today who runs some really awesome personal training studios. We had this conversation because the one thing you need to understand is that a studio is going to be bigger than you, you are in the human resources business. You are in the business of managing your staff. And that is not a bad thing. It’s not a bad thing at all. But the first thing I think most people need to understand is it really doesn’t come down to how much experience you have, if you don’t hire for personality, you are going to have a mistake there. You need to hire somebody who’s got a super engaging, super motivating personality, someone that people are going to actually want to come and work with. That’s the first thing I see is that studio owners will not hire unless the teacher had a lot of experience. But even with 20 years of experience the teacher is not worth anything to you if nobody wants to classes from her all because she’s so rigid, or she has a difficult personality. That’s not worth anything to you. So the first thing is that if you get seasoned instructor who has a dynamic personality, be prepared to pay. And don’t be afraid of making a second tier on your prices directly for that person. I mean we’ve done that before where we just had someone with so much experience and such a great personality that we knew we were going to have a wait list within three or four months for this person that we set a different tier. I think that’s entirely appropriate. The second thing is don’t be afraid to go out and grow your own instructor. We are always looking for people; and this is a perfect example of someone we just hired. We are putting them through the certification process. For a lot of teachers they are like, “Oh my god, you can’t believe you are going to really pay for that.” But this is a great fit for us. This is somebody who’s held long term jobs, this is someone who’s had a great interest, and this is someone who’s going to be incredibly passionate and dedicated. So when people see that, I find that they make a much stronger commitment. I’ve had people who I thought were going to be great fit but their response was, “I don’t know if I can do that. I don’t want to have to pay it back.” And I’m like, “You just told me all I needed to know why I shouldn’t hire you. You are going to leave in six months. If that’s your mindset, you can’t change that.” Don’t be afraid of people who are just starting out. Sometimes having a clean slate, and being able to train, is the best fit for the studio. Your studio has become great, it’s become full because you have something that’s innately great in the way they teach, and you need to bottle that and you need to make sure everyone in the studio teaches a version of that. It’s so important. So when you get someone who has a clean slate and you are able to say, “Hey this is what I want you to teach. This is how I want you to engage with people.” I don’t think there’s anything more powerful. You are setting every client up that hears about your studio, who’s heard about how awesome you are. You are setting them up to have the same experience. And that’s really what we are getting to people. You want a unified experience with every person that works within the studio. So sometimes those very new instructors can be the greatest blessing that you have. Anastasiya Goers: What does it take to be a good EMPLOYER as a Pilates studio owner? Lisa Kuecker: It goes both ways. I can tell you that as an owner, if you want to keep great people that work with you, you have to provide a great work environment. The one thing that I learned is that a lot of Pilates instructors come are super well educated. They come in with a lot of extraordinary talents. They come from a corporate environment and then they go into these small businesses. And there are some changes with this, the first being that you can’t control everything once you start to expand. I always tell people and explain that there is a CEO mindset you have to take on. Up until the point that you own your business, you can react on emotion, you can do things very differently, but once you start that business you have to act entirely rationally. The numbers have to matter to you. And you have to be willing to make decisions based on the numbers. When it comes down to how you treat your employees, you have to be willing to trust and give them some level of authority. I think that is something that’s often times not talked about enough. We have this tendency over and over again to say, “Nope, I’m going to control it all. I can make this work,” and that doesn’t work. By the time you get other instructors, I promise, you are not in control at all, they have to have some ownership there. And taking small moments when you can give them– your staff ownership is going to matter to you. Beyond that, you know I think letting go of the fear of numbers, letting go of the fear of what may not be working, and … don’t suffer in silence. I think as an owner, we have invested thousands and thousands, I went to college on a scholarship, I paid more money for my Pilates certification than I have for college. Let’s just make that statement clear. So you have invested all this money into this and then I’ll say, “Wait, I’m going to invest more money in learning how to run a great business.” Yeah, that should be exactly where you are investing the money. I think one of the smartest things I did before I opened my first business is I had somebody fly in. They watched through everything with me. They helped me set up all of my initial systems. I grew off of those systems and developed my own. But don’t suffer in silence. I meet these instructors that are like, “I thought my certification was enough? It should be enough. I should be good enough at this.” That’s not how it works, we need help. I mean I’ve got someone that mentors me, and I’ve been doing this for a while really successfully. So find somebody, it doesn’t have to be me. 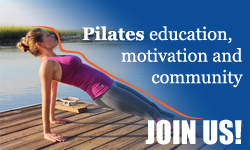 Go find – you can find someone in your community that doesn’t necessarily has anything to do with Pilates, that’s just a powerful strong business person that has great practices. But be willing to do that, because trust me, I see a lot of studios and I’ve bought a studio that has hit the end of its road, because somebody didn’t want to ask for help, or they waited too long. I think that’s important. Anastasiya Goers: Lisa, you are sharing a lot of great information and great advise with us. I also know that you have a free webinar coming up really soon.What else can we learn from you? Lisa Kuecker: During the webinar we teach all of our clients four steps to taking somebody from, “Hey I might be interested in your studio” to “I’m going to be client of yours for years to come.” And there are four distinct aspects of it. Stage 1. Introduction. We talk about the initial phone call, and emails, what they have to look like. Stage 2. Questions to ask the prospect. What do you need to talk with people about? What are the questions that you need to ask that really reveal everything? Stage 3. How to educate the clients. And we’ve spent years getting to actual science of this. That first month matters significantly. So we are going to be talking about each four of those stages of the processes. I hope more than anything that people walk away from this understanding that you don’t need this crazy ridiculous sales process that’s aggressive or scary. You know, you can take what’s made you great which is to be a teacher, and you can weave this process on the end. You can ask people the right questions, you can really get to know them, you can educate them into a sale, and you can make lots of sales and lots of profits doing this. And more so than anything, it is effortless. This is an effortless system. That’s really what you should be saying because I think as instructors you already know that. Pilates offers more value to people than I could ever imagine. It changed my body, I’ve seen it change my clients’ bodies, I’ve watched in so many clients in studios that we work with, these powerful stories. We can’t be shy about the value. It’s there. We’ve got to own it. That’s good for us, good for our studio in the end.